New -- now shipping! Are you a financial manager, consultant, or decision-maker considering SAP? Or are you new to SAP and need to understand how it works? 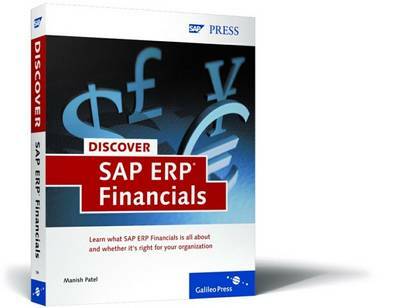 If so, this very detailed, reader-friendly reference, will give you an in-depth overview of the key components of SAP ERP Financials. You'll learn how each component works, the advantages they offer, and how this fully integrated package addresses the challenges facing today's companies. Along the way, you'll also learn how to improve your efficiency in key financial areas, including profitability analysis, financial supply chain management, cost-accounting, and more.